The Dalton Art Department exemplifies The Dalton Plan because we value the growth of the whole student. The K-12 art curriculum encourages inventive thinking, creative problem solving and visual awareness, as well as intellectual, social and emotional development. We consider every student an artist and cultivate innate creativity and curiosity with hands-on exploration of art materials, as well as self-reflection during art making. We teach to a range of interests and skill levels through age-appropriate assignments, guided experimentation, group demonstrations, and one-on-one instruction. Dalton students use a variety of materials, tools and techniques as they develop individual expression, focus, and a strong work ethic. They experience the joy of making things with their hands. The Dalton art curriculum reflects our belief that art is a rigorous discipline that demands concentration and practice. 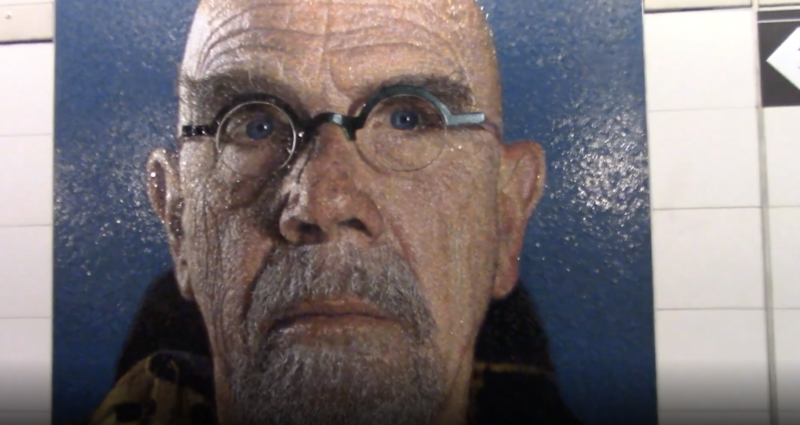 Students with different learning styles and aptitudes progress at their own pace, bringing unique cultural and individual perspectives to their artwork. As they engage in the creative process, students experiment, take risks, solve problems, and develop insights. Their ideas take shape in a finished work of art. 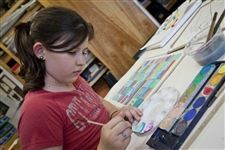 In addition to scheduled classes, our light-filled art studios often contain students working independently in art labs. We educate the Dalton community about art and beautify the school with constantly changing exhibitions in several spaces throughout the building. 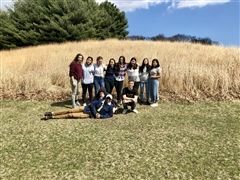 Dalton's HS Watercolor class weathered snow, sleet, rain, fog, and brilliant spring sunlight on their two-day retreat to Black Rock Forest Consortium. 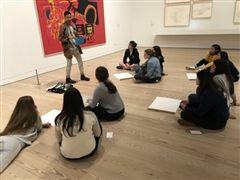 Lotus Do's watercolor class had a private tour of the works of Kevin Beasley and Andy Warhol at The Whitney Museum. The watercolor class attended the Whitney Museum to view the artist as experimenter and creative explorer.